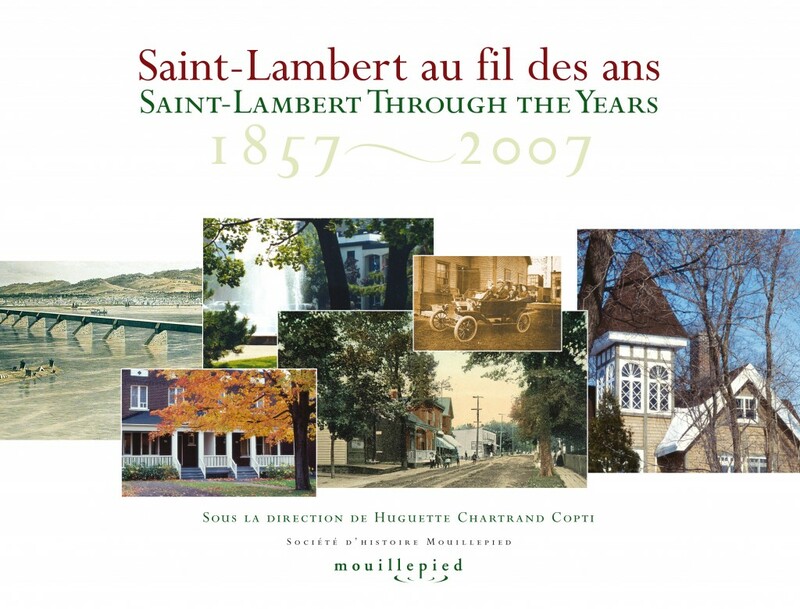 For the celebration of the 150th anniversary of Saint-Lambert in 2007, the Society published a 260-page book entitled Saint-Lambert au fil des ans —Saint -Lambert Through the Years 1857-2007. This beautiful hardcover volume gives a thematically organized overview of our history: the population, commerce, education, religous and cultural life, architecture and sports. The life of important mayors are recalled as well as some amusing anecdotes. Mostly written in French, it has some chapters in English and all the captions for the numerous illustrations are in both languages. The price for the book it $40 and it can be ordered through the Society or bought at Le Fureteur bookstore, 25 Webster Street, Saint-Lambert. Over the years the Society has published a considerable amount of reviews, dealing with the local history, some articles are in English. These booklets are still for sale at a price of $5 (except No 13, which is $6) at the local of the Society or at Le Fureteur bookstore, at 25 Webster Street.